Sanford Parker is the reputed producer and electronics wrangler behind some of metal’s most exploratory outfits, breaking new territory in his work as a fixture of Buried At Sea, Minsk, Corrections House and Mirrors For Psychic Warfare, and featuring on and producing numerous records from respected names across the experimental spectrum. His trademark paranoid atmospherics slalom from the nuanced to the crushingly direct, siphoning elements of industrial, cold-wave and power electronics to give bleak, brutalist clout to his work. Now, Parker is striking out on his own with Lash Back, a full length record of mechanical, dystopic, beat-driven menace. 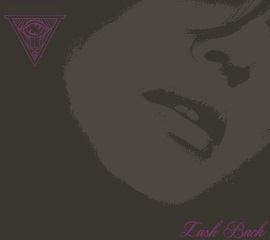 Due out on the My Proud Mountain label on July 22nd, Lash Back is a marked departure from his metallic legacy, retaining some of the hallmarks of his impressive work to date but moving towards a distilled, gruesome interpretation of the electronic world’s darkest operators like Perc, Youth Code and Pharmakon. Scathing kick detonations establish anti-dance rhythms to lose consciousness to, and vast swathes of swarming disintegrated synths wrap around the beats until they obscure all that existed below. Whilst intentionally disorientating and confrontational (with titles like ‘Sheep Slaughter’ and ‘Knuckle Crossing’ underlining his aesthetic), Parker still provides enough coherence and mastery to make Lash Back a record of searing hot excellence, and with tracks like ‘Your Feral Blood’ impinging on Kevin Martin styled earthquake beats, and opener ‘Psychic Driving’ uniformly loud yet majestic like Dominick Fernow, each gap a gasp for breath, Parker has broken into a wicked and characteristic style already.